October 17, 2015 (SSB) — It supposed to be the State SPLM secretariat under the chairmanship of former Gov. Kuol Manyang Juuk to determine and to make recommendations to presidency on who qualifies to lead Jonglei state through 28 months of transitional period to election time, where individuals are determined to contest for an election, not based on a clan-infested- queue of political expediency. No community is a member of any political party anyway, but community members can be. No community can lead, but individual can; however, giving the Greater Bor community a role to recommend a section or county, where a governor will be from, not the State SPLM secretariat to endorse a willful person, is undemocratic, and it encourages tribalism, sectionalism and more divisions— similarly to Riek Machar’s hawkish demand to lead South Sudan on behalf of Nuer-tribe. So will other sections of Greater Bor inherently always want to copy Riek Machar’s style? Hence it can cause bad repercussion over democracy. Let me not squander time. President Kiir knows his political enthusiasts better than the community itself; due to their renowned support to his leadership, on his own Presidential courtesy, he appointed Hon. Makuei Lueth, Information, and Kuol Manyang Juuk, Defense Minister, both from Bor county, assumingly none of Greater Bor community members consulted, to the national plate of bureaucracy, the Republic of South Sudan highest executive council, but Duk and Twic East counties had projected no petition whatsoever of marginalization against nationally presented Bor county. So was by then Bor and Duk never went astray during tenure of Dr. John Garang’s leadership over liberation struggle. Perhaps the President wants to lend us his honor to assist him in recommending the best candidate or to be a potential governor of our interest, yet discussing and concluding Jonglei State affairs in Juba, under supervision of Makuei Lueth, deputized by Hon. Deng Dau—this undermines and violates the devolution of powers, the SPLM vision set forth to expand government to grassroots, which President Salva Kiir recently executed in the formation of 28 new States, under theme of “taking town, powers, ideas, and developments to the people in their ends”. Juba is not our capital, Bor is. It is good idea to come to the State to propose a good character with determination to confront and to secure its territorial perimeters from expected series of menaces predicted to take place soon or later including offended President Kiir supporters of Nuer-ethnic groups who felt betrayed over loss of protection under umbrella of his presidency to Riek Machar due to newly created 28 States; border disputes, grazing lands, water points to trigger more suicidal attacks on this locality as usual. However, what President Kiir needs to base his empirical scrutiny and to dump in our political shopping cart here in Jonglei State is: a worker, not a talker; an implementer, not a pretender; an unwavering not staggering; experienced, not an apprentice; courageous not coward—energetic to mobilize youths from his section or others to recruit in the SPLA and to confront enemies of peace—domestic or foreign devilish agents on whatever form they come. Dr. Riek Machar accepted Mama Rebecca Nyandeng to be his political counterpart in SPLM in Opposition for she advised chiefs from Twic East County not to let youths confront her nephew, Maj. Gen. Gatwich Dual, Lou Nuer commander of Riek Machar’s forces; but only to provide them with oxen for food and to offer assistance to skip SPLA ambushes and to march to Bor, Capital of Jonglei State to exterminate who happened not to be Nuer by tribe. Dr. Majok Agoot Atem donated (SSP 30,000) Thirty Thousand South Sudanese Pounds to newly formed Dioceses of Athoc and Malek to keep his relationship with Greater Bor Community and to differentiate himself from Riek Machar, who ordered the killings of innocent civilians in churches and hospital-Bor. President Salva Kiir, the Country SPLM chairperson and, Kuol Manyang Juuk, the State SPLM chairperson know better on our records than that. 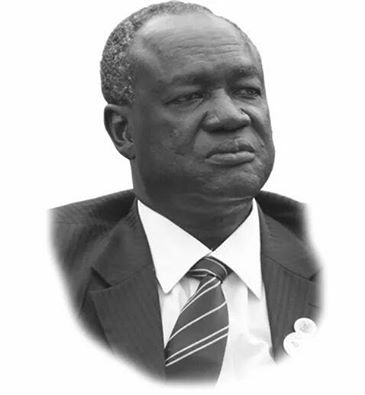 Greater Bor community doesn’t appoint, it votes; however, it is wrong for Juba based Greater Bor, particularly Twic East to grapple over appointment of a caretaker Governor when it is a constitutional responsibility of the president to appoint one through transitional period time until election comes for community to vote for determined individuals; unless this political ball was meant to test unity of Greater Bor Community members who are badly divided behind all the SPLM self-opposing parties: President Kiir, Dr. Riek Machar and Pagan Amum Okech. It doesn’t take long for someone from Bor county to complain about jonglei’s governor to be appointed coming from twic county. We this song you singing from Makuei Lueth and malaak ayuen before. Where have you been manyang Duang Jok. Jonglei state affairs has been run in juba since 2013, and is not jonglei state alone. Did you voted for current governor? Sure, you and majority of us are against hand picking and I wanted Juba to change this policy soon and let vote. Dr. Majak Agoot should not wasted this money at all. Manyang, you used to write with little more meaning but not the better. Nonetheless, your writings have gone from worse to the worst and exposes the very core of who you are;a man left by all shreds of decency and integrity. Typical malicious, mischievious dwarf, depraved soul who is far and wide harden by all malicious intends. You wants votes, where will you get the numbers?